In order to make sure your players always deliver peak performances, you should make sure they get a proper rest in between matches. Our storage box M includes custom foam for 16 Subbuteo teams and allows you to safely store your athletes. 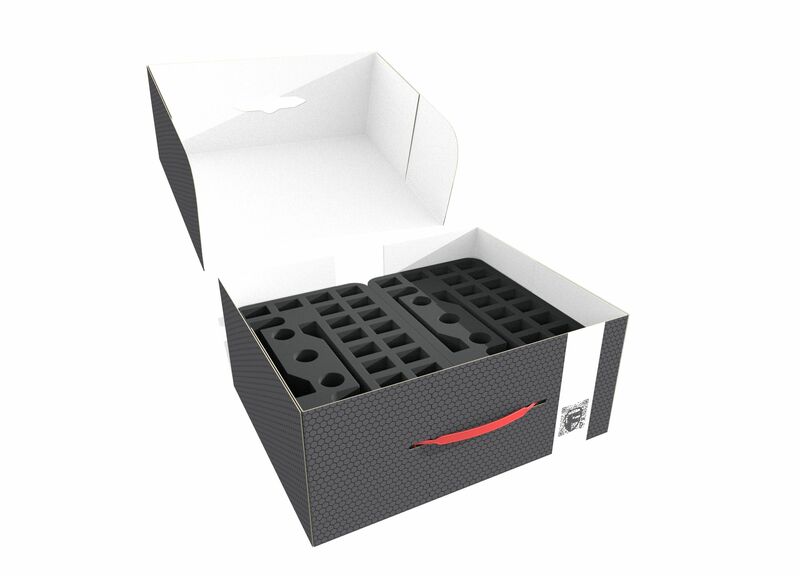 The 8 foam trays feature 25 compartments each. 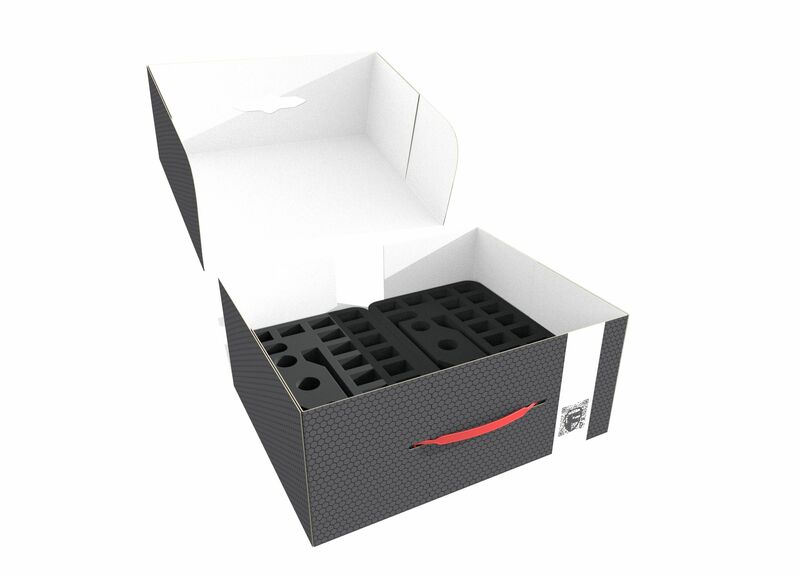 The trays fit exactly into the sturdy storage box M. The storage box - made of coated, double-walled cardboard - is not only light but also particularly stable. 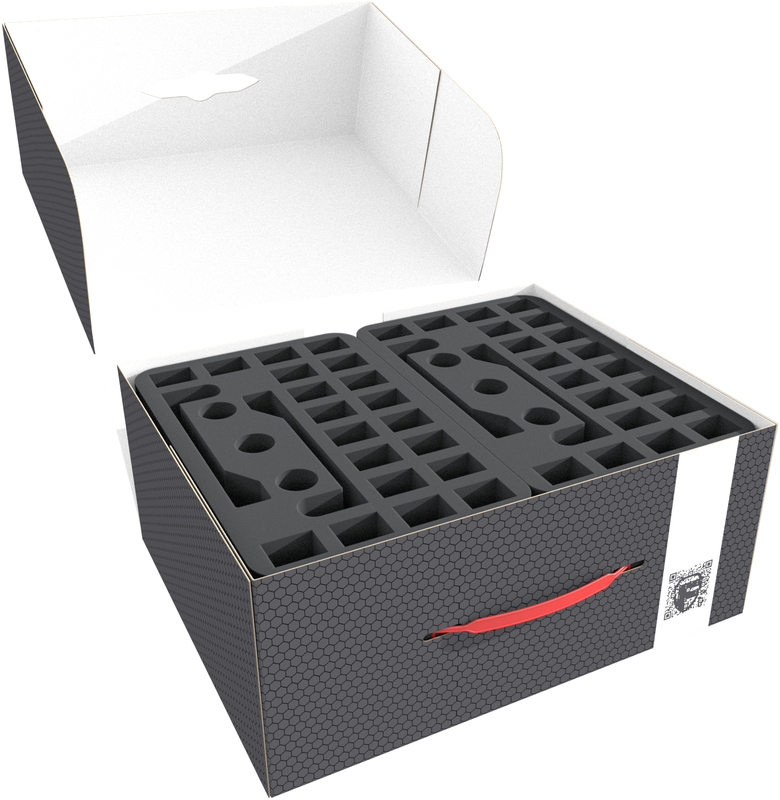 With the plastic carrying handle it can be transported easily and comfortably.